Huawei Technologies’ latest smartphone is now official following numerous leaks leading up to the company’s launch event in London. The Ascend P6 is now the thinnest in the world at 6.18 millimeters and carries a 5-megapixel front-facing camera, another first. For comparison, the iPhone 5 measures 7.6 millimeters thick and ships with a 1.2-megapixel front shooter. 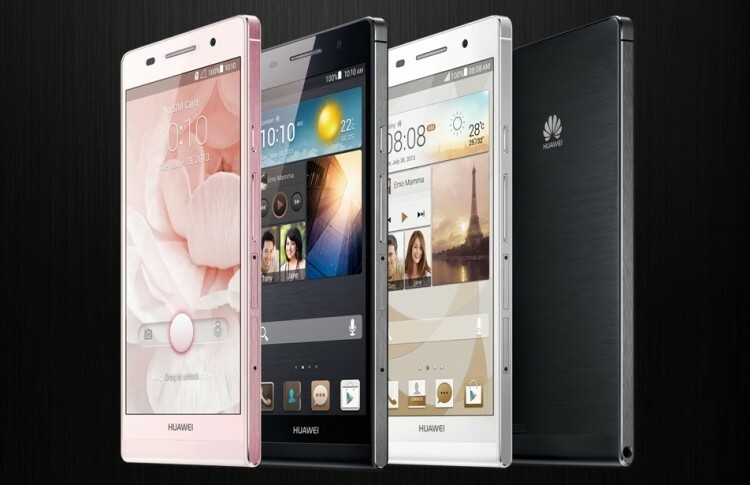 The Ascend P6 is powered by a quad-core 1.5GHz processor developed by Huawei, 2GB of RAM and contains 8GB of internal flash storage with support for microSD cards up to 32GB in capacity. It sports a 4.7-inch 720p display as well as an 8-megapixel rear shooter in addition to the aforementioned front camera. A 2000mAh battery is smaller than some others in its class but Huawei claims that a number of power saving technologies are able to extend battery life by 30 percent. The handset weighs in at 120 grams thanks to an aluminum shell but it is still a touch heaver than the iPhone 5 which weighs just 112 grams. Noticeably absent from the mix is support for 4G networks which is likely one of the reasons the company was able to make the device so slim. If you’re accustomed to a speedy data connection, this would certainly be a step backwards in those regards. The smartphone will be available in white, black and pink when it launches in China later this month. Huawei said the phone will go on sale in Europe starting in July. No word yet on if or when it’ll show up on in the US, however.